Today we have a couple very special announcements from Anime Boston: our acquisition of Higurashi Hou and MYTH! For a while now, many have wondered why Higurashi‘s release has been delayed, and today we’re excited to finally share that our acquisition of Higurashi Hou has been one of those reasons! This acquisition means that our upcoming release on Steam will be the definitive version of Higurashi both for Japan and the West! This also means that we’ll be releasing every single chapter of Higurashi contained in Hou: all four Question Arcs, all four Answer Arcs (Higurashi Kai), all three arcs of Higurashi Rei (which were previously never released in English! ), Hinamizawa Teiryuujyo (the never-before-released original concept story for the Higurashi series), Higurashi Outbreak (a chapter formerly available only in drama CD format), and a brand-new arc exclusive to Higurashi Hou–the Kamikanshi Chapter. All 14 of these chapters will be released individually on Steam and our website as translation progresses. What does this mean for the Steam version of Higurashi? It means a long list of new features will be included! We’re also happy to be adding doujin circle circletempo’s MYTH to our offerings! Already Greenlit for release on Steam, MYTH is another title that fans of Higurashi are sure to love. In the highly acclaimed doujin title MYTH, players follow a protagonist who lives in the “world of light”, a world without shadows. He encounters a girl with a shadow and begins exploring the darkness of another realm with her. The deeper you dig, the more mysteries and terrors you’ll find hidden beneath the bright surface. Drawing on Norse mythology, this intricate tale holds many surprises waiting to be uncovered. 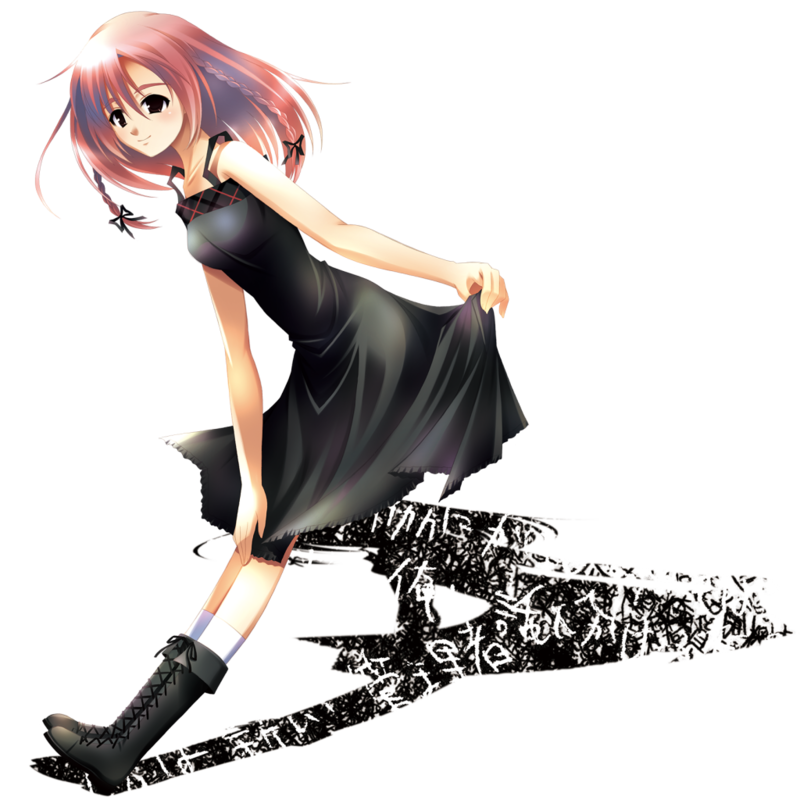 Though only partially voiced, MYTH also features a strong soundtrack composed by Luck Ganriki, who previously worked on Umineko, Higanbana, and Rose Guns Days. The adult version of MYTH will be available on our website, and the all-ages version will be available both on MangaGamer and on Steam. 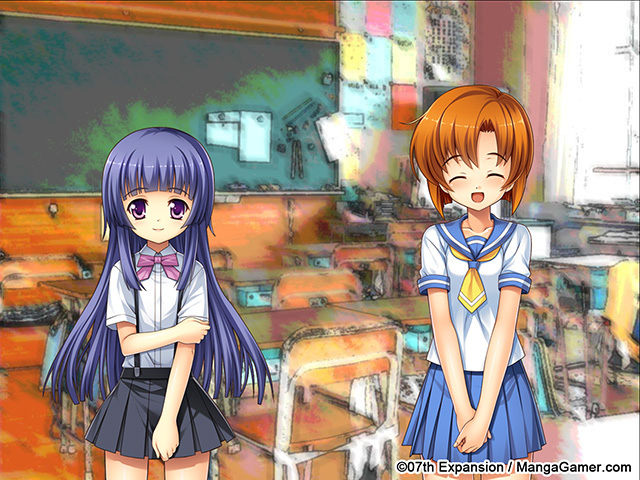 And finally, last but not least, we’re proud to announce that Higurashi Ch. 1: Onikakushi is now slated for release this May 15th! You can pre-order from our website now to get 10% and get a free Steam Key too! Tagged 07th Expansion, circletempo, Higurashi, MYTH. Very happy to see the state in which you’ll be releasing Higurashi in! All those extra chapters will definitely be great to read and I’m really hoping that the game becomes a success for you guys. I’ll probably be supporting it later when the 1st CH launches, but I’ll still keep my hopes up for a complete hard copy later down the line in some fashion. Awesome! I’m looking forward to seeing a good translation of Higurashi Hou. I never even expected MangaGamer to get all the original music to Higurashi, so it’s a very pleasant surprise. I wonder how the hard copies will work for this (since I only buy DRM-free games). Fantastic announcements! Really looking forward to them. This is so awsome! But now i’m even more mad at 7th expansion for not including the consoles exclusive arcs in this one!!! @MangaGamer: You said in a previous post that “all current and future owners of [the old] version will also receive the updated translation at no additional cost”. What does that mean exactly? I own your first release of “Higurashi no Naku Koro ni”, so will I get the first four chapters of this new version for free? You’ll only receive an updated translation of the release you own. To get any other additional content you need to buy Higurashi Steam Edition. 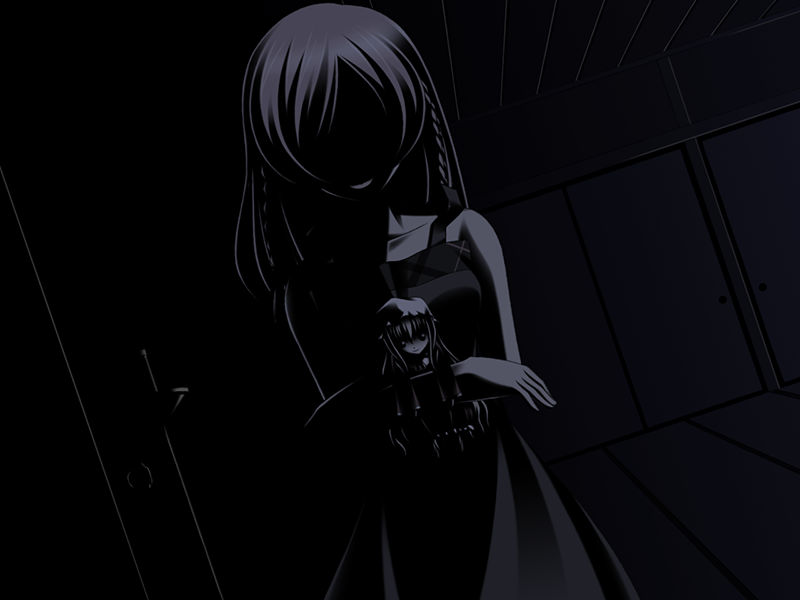 Link to the Steam Higurashi page on the “new 07th Expansion” page really lead to the Steam Eden* page! but Higurashi ch.1 have app/310360/. More precisely wrong link is only on “Steam Product Page” black picture at the bottom. Links at the top title and left picture are correct. No, Sui would be more definitive than Hou+Originals. It contains all the DS/PS2 arcs, perhaps others. If you want to take definitive to mean “without done up art and CGs” though, then sure I guess. Really great to hear (heh) that you’ll restore the music, though. Higurashi Sui wasn’t written by Ryukishi although he appears to have been somewhat involved in its production. Also, those extra chapters weren’t released by 07th Expansion. MangaGamer only releases PC games so it should go without saying that they’re referring to Higurashi definitive version (for PC). Actually, this will also have arcs that Sui doesn’t have (Higurashi Outbreak, God Violating Chapter, and Hinamizawa Bus Stop). So neither version (Sui or MangaGamer’s upcoming release of Hou) really has everything. It does have all the PC arcs that were 100% written by Ryukishi07, though. I’m a huge fan of Higurashi, but unless Mangagamer releases all of the chapters in one bundle instead of 14 separate titles, I won’t support this. The recently released Higurashi When They Cry Sui included all question and answer arcs in one Ps3 / Vita game, so it’s unreasonable not to do the same with this. Heck, if you do release the compilation on Ps3 or Vita, or even Steam, I won’t hesitate to pay 100 bucks for it in one go. So you have a problem with buying 14 arcs for $74.90 total (14 arcs for $5.35, the current price of Onikakushi, although this’ll probably be much cheaper since the Rei and Hou arcs will cost less), but you’d gladly buy them all together for $100? I don’t get it. The issue is not the price. It’s the convenience of having all chapters in one title. I don’t want 14 different Higurashi games cluttering my Steam library when Japan gets them all in one WITH voice acting to top it off. Not to mention, it’s frustrating that they release them one at a time. All these options! Other companies should take a note – this is how you localize a game. I’m happy the release date for Higurashi has been finally set. On the mangagamer site, you have the french version of the first 8 chapters. Will those be available for the steam version with updated art?